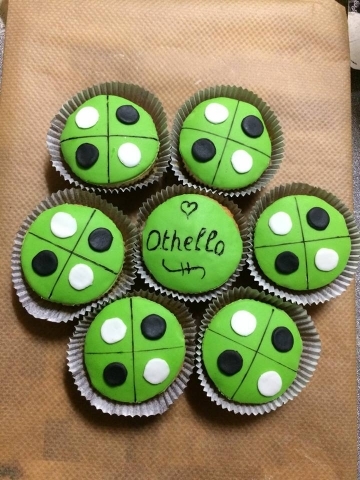 We are happy to report on the 2dn Ursel Othello Open, with no less than 22 unique players. The A tournament, with 6 players was won by Tom Schotte. He conceded one loss against Nick Reunes along the way. The latter became 2nd with 7 points (out of 10). But what to say about the promising event! 17 players, of which 9 played for the very first time. Karel Meuleman, debutant, won 4 of his 5 games and claimed tournament victory. Eline Verstuyft was runner-up, best lady and best junior player - also with 4 wins. Another debutant, Dries Makelberge won his first 4 games, lost to Eline in the last round and finished 3rd. 8 of the 9 new players will receive a rating the in the next World Othello Rating list update.